The biggest frustration for any business comes when it is time to GET PAID. Every business runs into overdue accounts for a number of reasons given by the customer. The behind the scenes problem is that a business with even a little bad debt on their books significantly reduces the value of your business along with further impacting your bottom line. Return on Investments are eroded, New Business is put under a microscope and you feel that it’s harder to grow your business. If your company finds itself with a growing accounts receivable portfolio that is dipping into the pool of bad debt; let Alazander Associates provide your business with the life vest to keep you above water. Our primary mission is to help our business partners resolve problem collection accounts, getting their money and/or property back to them. The success of Alazander Associates is partially attributed to our ability to obtain critical information through our cyber investigations. Our compensation for recovering delinquent receivables is strictly contingent upon our success. We take pride in the fact that our success lies not only in putting your funds back to work for you, but, at at the same time, maintaining the bond between your organization and your customers. A company with multiple indebtedness cannot usually pay all of its creditors at one time. However, our investigative approach, together with the dedication of our collectors, assures a front-line position in the recovery system for the clients of Alazander Associates. More often than not, legal fees could be involved when trying to collect on your own. From lawyer’s hourly fees on letters or evaluations, costs to your buiness increase with each day. At Alazander Associates we help you defer these costs and quickly resolve them in a cost effective manner. We analyze each non-collected account to determine how to proceed and the viability of a suit. A costly judgment is worth very little if that judgment cannot be executed. 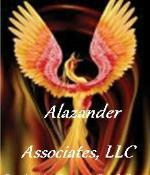 Consequently, less than two percent (2%) of the claims referred to Alazander Associates go to trial. This saves a great deal of money, time and frustration on the part of our clients. The biggest advantage of enlisting our team of specialists is that you and your team can focus on your core business, creating new customers and not deal with these time consuming and emotionally draining accounts. Alazander Associates boasts an industry leading 70% recovery rate in the first 30 days of placement with us. This frees up your employees to concetrate on the day to day business along with increasing the cash flow that gets you to your business goals so much easier and faster! Rates are dependent upon such factors as age of accounts, balance size and turnover volume. We look forward to earning the priviledge of your business, and trust you will be pleased with our services. Overwhelmed? We're here to help.